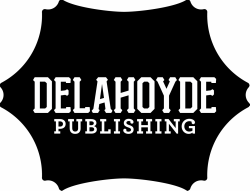 ​ Stephanie was the inspiration behind setting up Delahoyde Publishing. Visit her author page for a short synopsis of her published works. And visit her website www.StephanieHammondAuthor.com for her blogs and more information about what she's up to on her current projects. ​Phoebe is an accomplished author and contributes her copy writing and editing skills to Delahoyde Publishing. Visit her author page for a short synopsis of her published works. And visit her at www.PhoebeWilbyAuthor.com for her blogs and more information about what she's up to on her current projects. ​Amy is, as she says, a Paramedic by day, writer, proofreader, editor by night. We are all enthusiastic about recommending her skills to you. She is thorough and detailed and has a wonderful grasp of the English language. Visit her page for a glimpse into her life. Hannah dreams of writing and travelling the world - preferably both at the same time. She is multi-talented and shares some of her passions with us on her author page. Samuel is equally proficient in art and writing. He is currently writing Alienated, the first book in his The Life and Adventures of Bobby Robinson series along with a book of poetry. Short stories, script, and production round out his writing interests. Visit Samuel's page. Rachel is an accomplished photographer who loves to write and illustrate her own stories. Check out Rachel's page here. ​She is currently illustrating a short picture book called The Singing Forest. Look out for it around the end of September. A special Christmas Edition will be available in December. Keep an eye on our BUZZ page for updates. ​Contact Rachel on her email at racheltelford98@gmail.com.